Belle Glade was the last of the Championship golf courses to open, and that was four years ago. Before that, Evans Prairie opened way back in 2012. I am not sure how many new houses have been built since then, but it's definitely been a lot, and lots more are continuously being built with no end in sight. 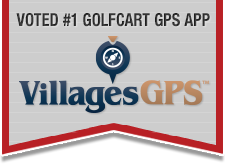 Does anyone other than myself think it's about time to begin adding more Championship golf courses to keep the ratio of Villages residents to Championship golf courses from increasing at such a rapid pace? During this time of the year I guess there usually is still enough golf, but during the busy season, with all the extra people and very short days, more courses are needed. My understanding is that there will be championship golf courses south of Hwy 44 (toward Fenney). So far so good. I see no reason to worry. The Morses haven't let us down yet. What is the current ratio and what has been the historical ratio's??? I don't know the answer to your question, but could easily calculate it by simply dividing the number of completed homes by the number of completed and operating Championship golf courses at any given point in time. Where one could find the statistic representing the numerator number is unclear. The denominator of the equation has been stuck at 12 for a long time, while the numerator continues to grow at a rapid pace. My best guess, using reasonable assumptions, is that at least three or four new championship courses need to added in the next 5 years to keep the ratio somewhere close to where it was when Belle Glade opened in 2014. Don't forget to consider an aging population. Also not all new homes being sold will have golfers. How many times were you unable to get a tee time in the past year? We had a 1:00 teetime yesterday at Osprey at Evans Prairie, we checked in with the starter about 12:15 and he said, you can go whenever you like, there are no other groups between now and then. As it worked out, just as we finished the ninth hole it started to pour, we had only planned on playing nine. I play the championship courses every week and usually every afternoon is like this in the summer. No real need to build more courses, just maintain the ones you have. In the winter, we also play the afternoons, not because of the price because there is no 11:00 discount like in the summer, but due to the 'waves'. You have to tee off basically by 9:30 or otherwise wait until 11:56 and I'm just not a morning golfer. I found the afternoons in most championship courses in the winter are pretty sparse as well, especially Palmer. Why they charge more and yet no one is out there most winter afternoons is baffling. I disagree, I believe there is more than enough golf holes on Championship courses to handle the growth. We have a group of 20 that plays twice a week and have no problem getting a time in the busy season. May not be our first course selection or tee time but we get to play. I suspect it isn't the ratio of residents to course but the rounds and revenue that determines when a course is built. There are plenty of open times on most courses most of the time. I had a more difficult time in PA getting times on good courses then I have ever had here.